However with any marketplace there are competitors, pricing wars, value creation, unions, infrastructure, liquidity balance…etc. 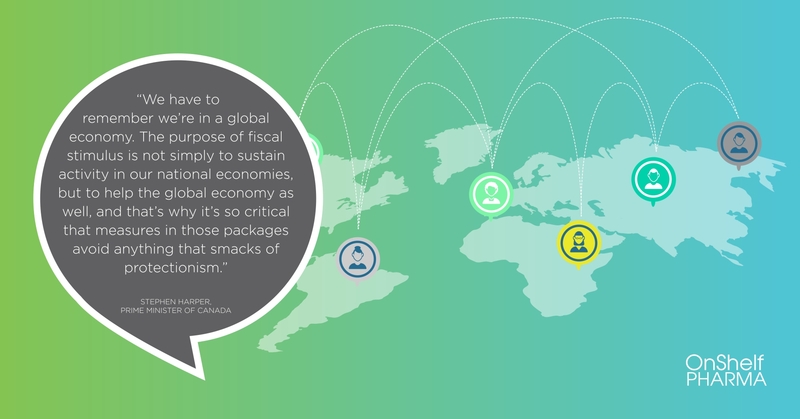 The other side of the globalisation coin considers the social impact which is correlated to political and economic stability. Kevin Danaher is an Anti-globalisation activist and sums up the biggest driver to people being against globalisation. He says, “There’s two globalizations… The elite globalization represents minority forces. The elite globalization is about making money… The people’s globalization, the democratic mass globalization is about life values.” He is against capitalisation, however modern trade involves exchange, and we discuss this a little later in this article. Essentially the pro nationalisation supporter’s ague against the outflow of money from the fiscus. Money flowing out faster than it flows in will reduce the funds that the government has to support the country. This in turn reduces the living standards of the people and over time, makes the national fiscus more dependent. The worst case of course would be if the government collapses and is forced to hand over control. A good current example of this is the crisis in Venezuela, initiated by Hugo Chávez, former military officer, elected as the president in 1998. He nationalised privately owned business and foreign assets in an attempt to make good on his election promises by rectifying past poor performance. He also essentially shut the door to global participation. This was the straw that broke the camel’s back as Venezuela collapsed, leading to social warfare. Granted, this is an acute example, but it is very relevant to show the impact of retraction of global participation. South Africa was also kept out of global participation due to sanctions against apartheid and became a broad scale global trade participant from the early 1990’s through a rapid program of trade liberalisation. The Textile industry is an important component for social upliftment in any developing country, and South Africa was hard it when China entered into the global trading arena with unmatchable prices. This impacted the South African industry locally and internationally, leading to major industry shut down and job loss. Government had to implement duties on imports to allow the local industry to participate again, however local manufacturing has still not fully recovered as export pricing remains uncompetitive. 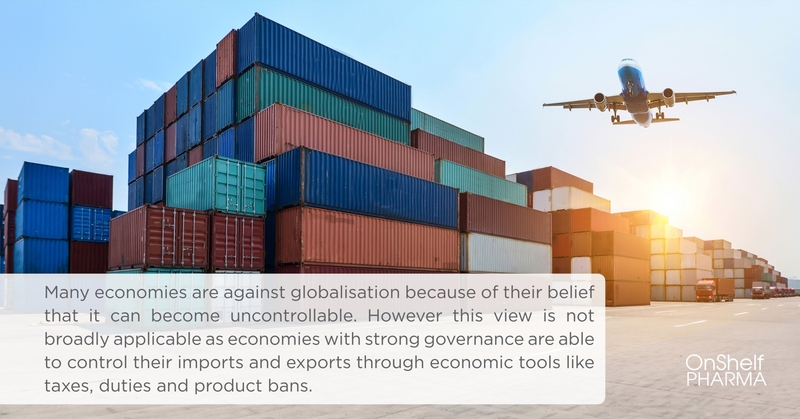 The key value here is that imports can have a positive impact on consumers’ pockets, and negative impact on the economy, however this balance is within the control of the laws of the land. Implementing the right correction measure at the correct time makes this beast of Globalisation manageable. Chinese imports have been causing an uproar in many Global markets, including South Africa. Let’s consider the current political strategy of both America and China. America has been calling for reprieve against Chinese imports for over a decade. American job losses were high and local manufacturers could not compete against the high tech and efficient Chinese manufacturing model. However late 2017 and 2018 saw a change in sentiment towards free trade between China and America. Trump drew the first card by imposing import duties against certain Chinese goods. Washing machines and solar panels have been identified for now, but we anticipate that there will be more to come. His reason for this is to show protest against China using unfair trade practices to go below fair market value, thereby putting US manufactures at bankruptcy risk and further exacerbating America’s unemployment problem. China responded by accusing the US of shooting from the hip with its trade remedy measures and promises to continue developing world trade. China believes that there were other mechanisms that America could have used which would have signalled a continued willingness to support each other’s economy. In an anticipated move, China has also imposed a ban on certain plastic imports that they receive in bulk from America and Europe to name a few. This plastic is recycled and feeds into their raw material store houses thereby assisting their local manufacturing with cost reduction. Now in order for this model to offer value to both the exporter and importers of plastic, a few trade-offs needed to be made. Due to the number of ships the Chinese have on the water with its exports, it was easy to take the waste back on empty ships. This initiative was also helping clean up the environment for the country of origin so it was a win-win exchange. However after years of this exchange being in place and after an estimated 51% of global plastic scrap making its way to China for reworking in 2016 alone, the Chinese government have implemented the ban due to the pollution levels. This is partly due to world pressure, as China is still responsible for pushing 30% (1) of the world’s plastic pollution into the Oceans as not all plastic is recycled. The ban imposed by China has left a big gap in the solution to processing plastic waste that the rest of the world needs to solve for. While the exchange was in place it was an example of how globalisation can go beyond profits and provide solutions for other planetary problems. Therefore there are pro’s and con’s to Globalisation and each impact is dependent on the country’s trading position in the world economy and the health of the fisci. South Africa certainly has a favourable position with its minerals and natural resources and our exports on non-commodities are seen as unique. Economists believe that South Africa prefers to take a responsible big brother approach and operates cautiously. Due to our young age as a democracy, it is probably best to avoid expensive tech investment while we are unable to compete with the super powers like China and the US. Nigeria tried this and failed. India has a great approach and probably more applicable to the South African environment. 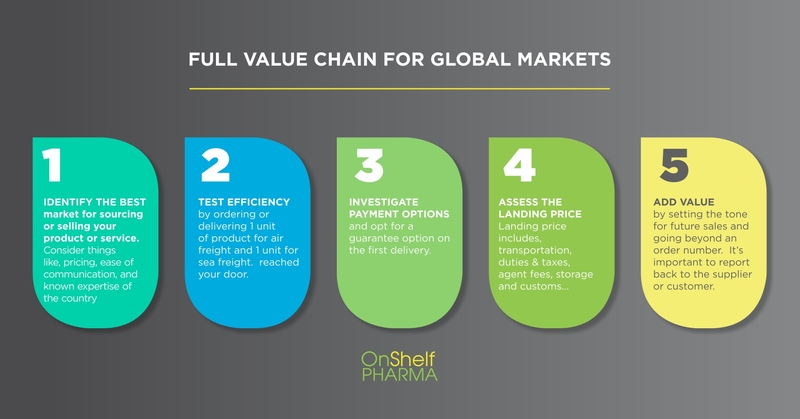 So, businesses wanting to enter the global market should work through the full value chain. 1.) Identify the best market for sourcing or selling your product or service. Consider things like, pricing, ease of communication, known expertise of the country, sophistication of the market and position of the company you are dealing with in the market…. As good business practice, all deals should be accompanied by an enforceable contract. Test the international companies willingness to assist with enforcing the contract should there be a breach. Rule of thumb is that if a company is very reluctant to sign an enforceable contract or not aware of how it works, then there is a strong chance of default. Request at least 5 referrals from their current customers and suppliers if you are purchasing or send through at least 5 verified referrals if you are selling. 2.) Next you should test efficiency of ordering or delivering 1 unit of product for air freight and 1 unit for sea freight. Note down the dispatch date of both deliveries, how long each parcel takes to arrive, any customs or clearing delays and the quality of the packaging and product that reached your door. 3.) Investigate payment options and opt for a guarantee option on the first delivery. PayPal offers a service where you deposit the funds and release it when you are satisfied that the service or product delivered. Losing money with international transactions is a real risk and many businesses have fallen prey. 4.) At times the cost of landing the goods, negates the pricing benefit. Landing price includes, transportation, duties & taxes, agent fees, storage and customs… Components to calculating the full cost of transportation are stand-alone costs and one can decide not to use a forwarding agent for example. 5.) The last step adds value to setting the tone for future sales and going beyond an order number. It’s important to report back to the supplier or customer about the process, product, what worked, didn’t work and requirements or changes for the next shipment. When you need to order again, start with this report. If you are selling, be sure to get customer feedback on their experience. There are ways to follow an easier process but this also carries greater risk and the opportunity for relationship building is lost. 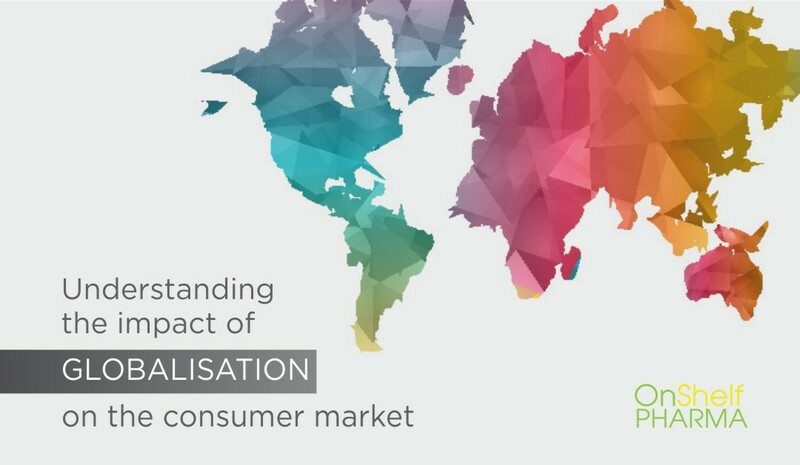 The positive allure with global markets is that it has become more attainable for smaller business in South Africa and as we earn our reputation overseas, in time our participation will grow.